Anyone know if its for real??? first I have heard of them but it wouldn’t surprise me at all. This “new” site is registered to Boogie Bodies in Newtown PA, and looks like it’s official enough. Will know more of course once there’s more than a “coming soon” page. However, since the domain was registered in 2013, and nothing has appeared yet, I wouldn’t hold your breath. The site seems to be up and running now. US$39.95 each. 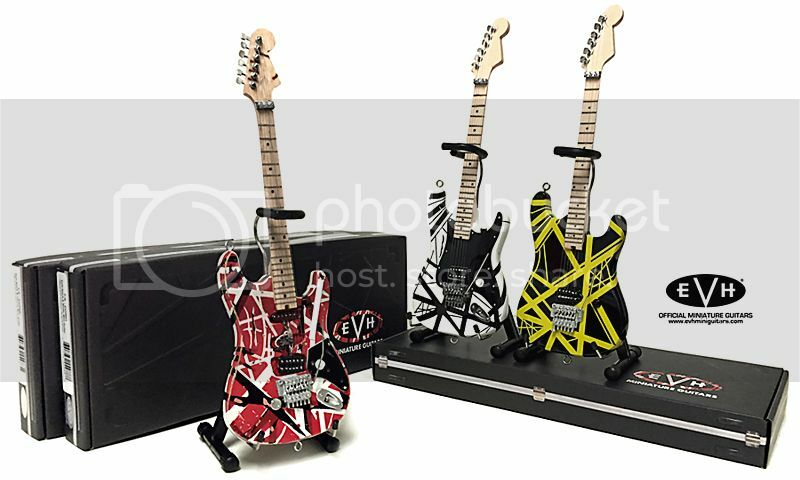 They come with an EVH box/case too. More photos at the site. How many you getting Darren ? I’ve already email them for shipping prices to OZ..
Dutchie: The site seems to be up and running now. US$39.95 each. 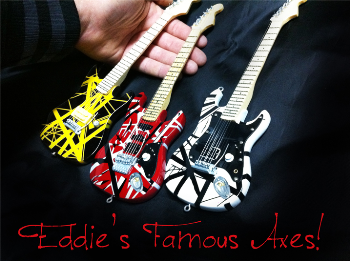 They come with an EVH box/case too. Axe Heaven used to sell them for $23.32/ea (on sale), $29.99 reg price. Eddie is sending a team of miniature lawyers to your house right now. Good lord that’s a bootleg-looking ad… just drop that URL anywhere, and please use ariel. Wow. ron: Axe Heaven used to sell them for $23.32/ea (on sale), $29.99 reg price. The quality and accuracy looks to be a lot better on these new ones so I guess that’s why they are a bit more expensive. PT5150: How many you getting Darren ? I just did some quick calculations. To buy all 3 + the US$22.75 postage then converted to Aussie $ is roughly AUD $193.70, that’s not including currency conversion fees. 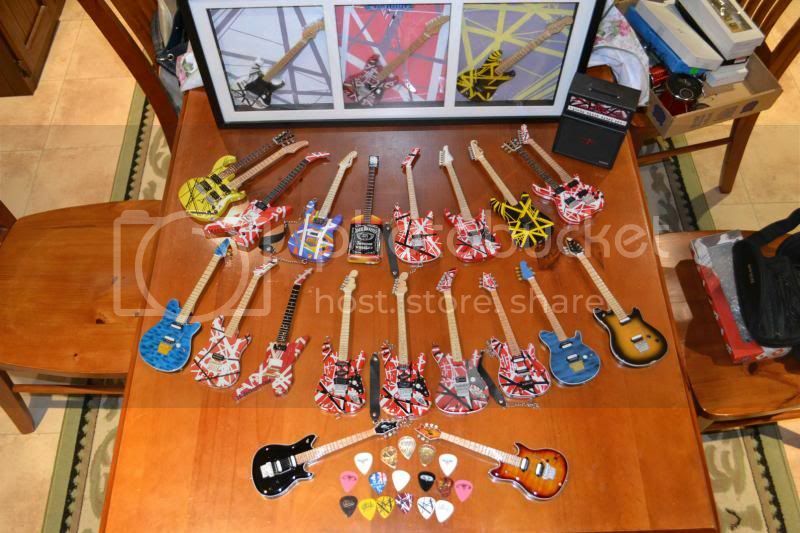 That’s going to be over AUD $200 for 3 mini guitars. Its a shame as they all look pretty damn good too.